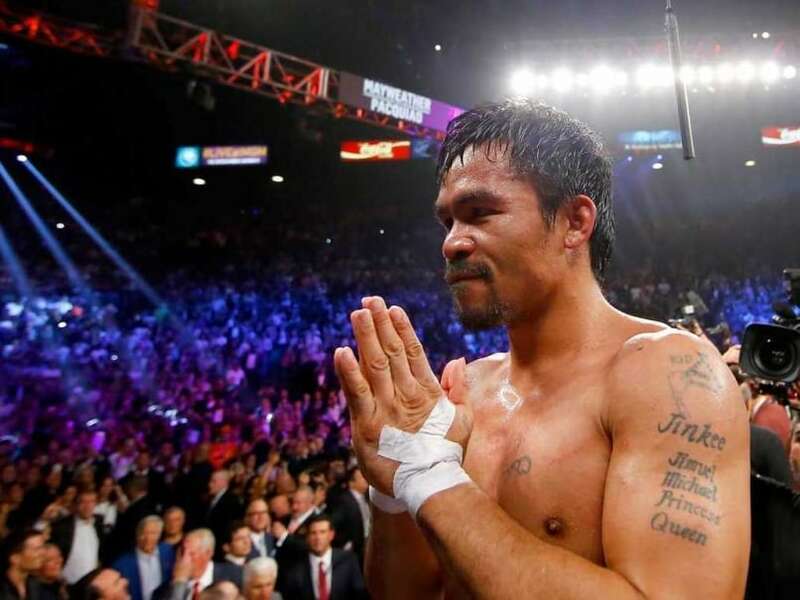 Manny Pacquiao - Philippines Next Olympic Medallist? International Boxing Association (AIBA) president, Wu Ching-Kuo, said the federation would vote within three months on proposals that would allow all professional fighters to compete in the Olympic Games, including in Rio. The eight-time world champion said he had been "personally invited" to the Rio de Janeiro Games by Wu Ching-Kuo, president of the International Boxing Association (AIBA) - the governing body for amateur boxing. "It would be my honour to represent the country in the Olympics," Pacquiao said in a statement to AFP on Wednesday. "If I would be asked to represent boxing, why not? I would do everything for my country." The 37-year-old, one of the world's wealthiest boxers, made the comments while training for what he said would be his last professional fight, an April 9 Las Vegas rematch with American Timothy Bradley. Wu told AFP in Switzerland on Monday that AIBA would vote within three months on proposals that would allow all professional fighters to compete in the Olympic Games, including in Rio. Wu said proposed changes to AIBA statutes, set to be put to a vote at a special congress of AIBA confederations at the end of May, could leave Olympic eligibility in the hands of the national boxing federations. Qualifying for the 2016 Rio summer games that begin on August 5 is already under way, but Wu noted that there were still be opportunities for professionals to qualify. Spokesmen for the Philippine Olympic Committee had no comment on Pacquiao's statement. Pacquiao has posted a 57-6-2 win-loss-draw record in a glittering 21-year pro career that began in January 1995. He never competed in the Olympics, although he did act as the country's flag-bearer in the 2008 games. Already an elected member of the House of Representatives, he is running for a Senate seat in May elections - with an eye on an eventual presidential bid. His Olympic comments came after he touched off a global firestorm with controversial comments describing homosexual couples as "worse than animals". The comments, for which he has made a qualified apology, cost him his long-term association with major global sponsor Nike.